Leadership: Do You Have the Tools? Today's increasing technological utilization and increased health care enrollee numbers in the midst of declining health care dollars are creating new demands within the health care industry work place. The public demand for continued health care excellence and the present declining reimbursement dollars are sure to create health care management issues for providers. Of particular concerns during this difficult transition period are maintaining effective leaders and the cultivation of quality leaders for future management positions. The Committee on Accreditation of Medical Physics Education Programs, CAMPEP, being proactive in this matter, has instituted recommendations for the teaching of professionalism, ethics, and leadership topics in both didactic education programs and educational training programs. This lecture challenges students and young professionals in the audience to initiate leadership training now and to begin to assemble leadership skills for future management positions. Using illustrations from the construction industry, team sports, and the health-care workplace, the lecture lists the author's top-ten characteristics of a leader, clarifies what leadership is not, and suggests three levels of leadership skills development and training. Additionally, the lecture will include four real-life leadership situations for audience participation. The lecture concludes by challenging individuals in the audience to examine the leadership tools within his/her own skill set, to encourage acquisition of new skills, and to promote development of these skills for future leadership positions. 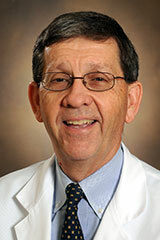 Charles Coffey joined the Department of Radiation Oncology of the Vanderbilt University Medical Center in June, 1993. He presently serves as a clinical faculty radiotherapy physicist and Program Director of the Vanderbilt Professional Doctorate of Medical Physics (DMP) Program. His education and career in clinical medical physics has totaled forty-two years and spanned five decades. His academic interests include external and brachytherapy treatment planning advances, quality assurance, and teaching/mentoring.